Unfortunately, the AlcoHawk Slim Breathalyzer is no longer available. You can explore other items in the Breathalyzer category yourself to try and find the perfect replacement for you! 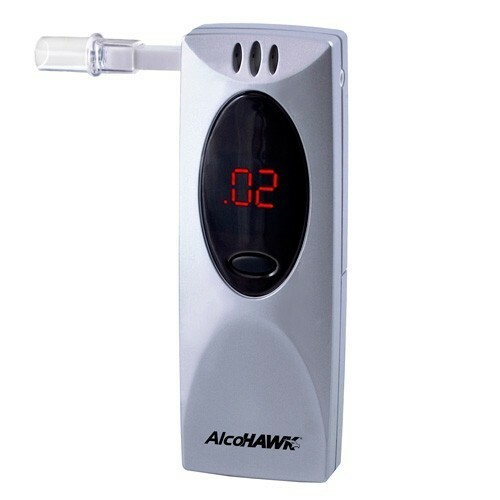 The AlcoHAWK® Slim was introduced in 2006 by Q3 Innovations at the Consumer Electronics Show to the AlcoHAWK® Series line of digital breath alcohol testers. Operating on a single button, simply blow into the folding mouthpiece for an accurate BAC reading in seconds. The AlcoHAWK® Slim also includes removable mouthpiece covers that allow you to test multiple individuals in a sanitary fashion. The sleek design also makes the AlcoHAWK® Slim very compact and easy to carry for personal use. It is the ideal solution for someone looking for a portable tester with professional quality with a consumer design and feel. Meets DOT/NHTSA Model Specifications for Breath Alcohol Screeners. Has obtained FDA 510K Premarket Clearance. Electric Air Flow Sensor: The AlcoHAWK® Slim contains an electronic airflow sensor to ensure the user continues to blow through the unit. This is a vital new function because only samples of air from the deep lung are proportionate to blood alcohol content. This new innovative sensor ensures the user exhales through the mouthpiece over the 4-5 second exhale. This is an important feature for professional screening to prevent an intentional short exhale which could affect accuracy. Sample Concentration Sensor: The AlcoHAWK® Slim contains a software upgrade to allow the unit to track if an even alcohol concentration is detected in the sample. This cutting-edge technology provides another method of ensuring breath sample integrity. Folding Mouthpiece Design: The AlcoHAWK® Slim features a folding mouthpiece design that allows the unit to be easily carried in a pocket or a purse while maintaining the benefits and accuracy of a mouthpiece air capture system. The Slim also comes with replaceable mouthpiece covers to enable sanitary testing on multiple individuals. Sensor Recognition Technologyâ„¢ :All AlcoHAWK® SC Series units now include Sensor Recognition Technologyâ„¢ to monitor for certain types of abnormal sensor conditions. 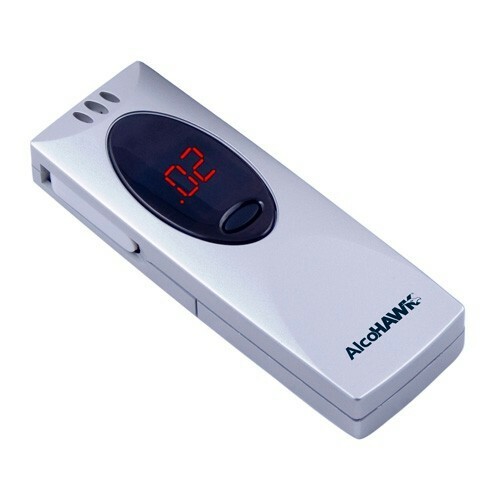 The AlcoHawk Slim like any other breathalyzer will experience a degradation of sensor accuracy over time. For any questions, please contact us at 1-818-701-9200.